We are delighted to inform you we've got a new broker Blackwell Global Investments (UK) Ltd on our list! Blackwell Global offer clients the ability to tailor their accounts, allowing traders find the perfect match for their trading style. As the name suggests, Blackwell Global has an international presence whose dedicated team provides 24/5 multilingual support. Alongside its multitude of trading products, Blackwell Global offers a range of specialised account types including MAM, API and Swap Free. You are now eligible for higher rebate rates! We are delighted to inform you that Just2Trade is increasing rebates, which means your trading will become even more profitable! You can find more on Just2Trade in our Broker list. To learn how much you will get for single transaction, please visit our Forum. We are delighted to inform you that FIBO Group ltd is increasing rebates, which means your trading will become even more profitable! You can find more on FIBO Group ltd in our Broker list. We are delighted to inform you we've got a new broker OctaFX on our list! OctaFX is an ECN/STP broker that provides ultra-fast market execution under 0.1 second and incredibly low spreads starting from 0.4 pips. They provide deposit and withdrawal through different facilities with absolutely no fees applied. Today, we are happy to announce the winner of the New Year FxCash iPhone Promo that was held from December 20, 2018 to January 20, 2019. The main prize, Apple iPhone XS 64 GB, goes to Viktor from Russia who reached the best result - 761 FX Points! Congrats Viktor and wish even more success in professional FX trading! We are delighted to inform you we've got a new broker AAAFX International on our list! AAAFx International is a registered financial service provider in New Zealand and is a member of FSCL, a dispute resolution scheme. The company's mission is to provide global investors with access to the world's largest and most liquid market by offering innovative trading tools, meeting strict financial standards and striving for the best online trading experience in the market. We are delighted to inform you we've got a new broker Larson&Holz on our list! Larson & Holz is a group of companies that has been providing online trading services since 2004. The company offers the opportunity to trade a wide range of tools using the popular Meta Trader 4 and Meta Trader 5 trading platforms. Larson & Holz also has a division of LH-Crypto - the world's first cryptocurrency broker, which provides customers with more than two hundred financial assets and the ability to trade not only cryptomonet, but also standard instruments of the forex market, CFD. We are delighted to inform you we've got a new broker AMEGA on our list! AMEGA is an innovative broker offering traders incredibly low spreads by aggregating prices from the best liquidity suppliers. The company offers two popular trading terminals, MT4 and MT5, which enable both mobile and web trading. Scalper and ECN accounts will be of particular interest to a certain group of customers, as they have been specifically designed to fill a gap in the market. Unfortunately, we are forced to stop our cooperation with PaxForex brokerage company. The reason is a non-compliance of the partnership agreement with FxCash clients’ interests protecting internal policy. Due to Bank Holidays in our country, we are away from December 29, 2018 till January 2, 2019. This will not affect your existing and new withdrawal requests. However, due to the holiday season, most brokers are likely to experience delays in transactions. We still guarantee that all December spread rebate will be paid until January 15, 2019. We are delighted to inform you we've got a new broker AxiTrader on our list! We are delighted to inform you that JustForex come up with a special offer for FxCash clients increasing rebates, which means your trading will become even more profitable! Only in December, there is a marathon to increase rebates: $ 9 per lot on Cent, Mini and Standard accounts and $ 4.5 per lot on ECN Zero accounts, regardless of the profitability of your transactions. 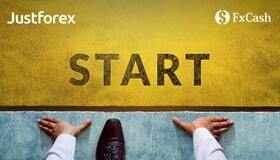 You can find more on JustForex in our Broker list. We are delighted to inform you we've got a new broker ICM Capital on our list! ICM Capital is an international online Forex and CFD trading firm offering 24 hour access to a diverse range of trading products including foreign exchange, commodities, futures and indices. The company is regulated by the Financial Conduct Authority(FCA/520965) in the UK. ICM Capital focuses on compliance with the law and always strives to be honest and transparent in all aspects of business operations. We are delighted to inform you that Roboforex come up with a special offer for FxCash clients increasing rebates, which means your trading will become even more profitable! Now you can get up to 45% of markup! 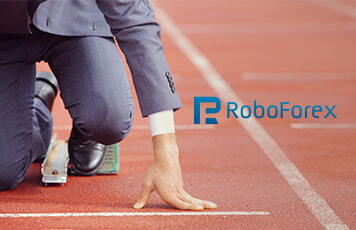 You can find more on Roboforex in our Broker list. ForexChief Ltd. is licensed by the Vanuatu Financial Services Commission as a Dealer in Securities (Principal’s License). The basic concept of the project is creation of a unique platform for online trading in currency contracts and precious metals on conditions of Margin Trading. We are delighted to inform you we've got a new broker Z.com on our list! Z.com Trade is the service name of GMO-Z.com Trade UK Limited, and is an affiliated company of GMO CLICK. GMO-Z.com Trade UK Limited is authorized and regulated by the Financial Conduct Authority (FRN 622897), and we adhere to the strict regulatory requirements set by the FCA in how we conduct our business and provide services to you. We are delighted to inform you we've got a new broker AAAFx on our list! AAAFx, founded in 2008 is a Forex broker incorporated with the ZuluTrade Forex signals programs and systems. Its main headquarters is situated in Athens, Greece and it is EU regulated and licensed. AAAFX provides a huge range of currency pairs and engages in metal and oil trading activities. Client funds are segregated from the company’s operational funds. Segregated client accounts are held across major financial institutions. We are delighted to inform you we've got a new partner ZuluTrade on our list! Founded in 2007, ZuluTrade is the world's first and leading online and mobile Social Trading Platform. Created in response to the non-existence of a web-based platform that could audit Traders globally and at the same time; enable Traders to share their knowledge with people interested in their strategies. If you have any questions about these changes, please don’t hesitate to email us at [email protected]. We are happy to inform you YADIX rebates will be now credited instantly starting April 27, 2018. What does it mean? • There is no security period for the money you receive. 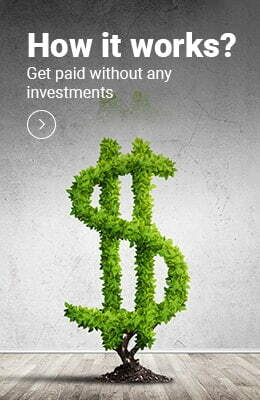 Once your FxCash account is credited with rebate, you can invest your funds in trading right away. Trading with YADIX is even more profitable than before!